From the ashram that brought you The Ecstatic Music of Alice Coltrane Turiyasangitananda. Earlier this year, Luaka Bop systematically broke down the barriers in our collective unconscious with the release of World Spirituality Classics 1: The Ecstatic Music of Alice Coltrane Turiyasangitananda, collecting tapes and CDs recorded by the jazz legend at the 48-acre Sai Anantam Ashram she established outside Los Angeles in the early ’80s. But Coltrane wasn’t the only musician recording at Sai Anantam. 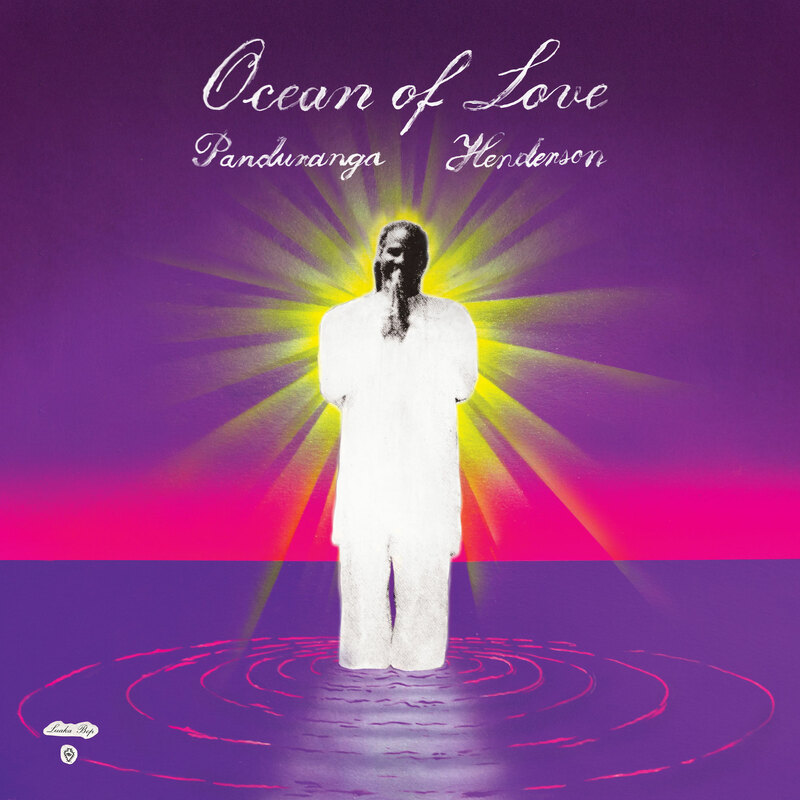 Released to coincide with Record Store Day Black Friday, Luaka Bop have unearthed the extraordinary spiritual synthesis of ashram pianist Panduranga Henderson on a new collection Ocean of Love. A unique form of devotional soul music that sounds an awful lot like Stevie wonder jamming the Hari Krishna, what comes next will only make sense if first listen to album opener ‘Hari Namaste’. John Henderson was a keyboardist and singer who’d made a modest career for himself on the peripheries of the jazz and soul scenes. An occasional touring pianist with Ray Charles, who dubbed him John The Revelator, and spots alongside saxophonists Arnett Cobb and Eddie ‘Cleanhead’ Vinson’, Henderson returned to Texas in the mid ’70s to pursue a music career that was heading perilously towards TV and radio jingles. But things were about to change. Henderson first heard about Coltrane’s ashram in 1982 through a friend of his wife, the singer and radio DJ Pamela Davis. By the end of the year, the pair had packed up and headed west, were given Sanskrti names – Panduranga (meaning ‘Dispeller of Darkness’, and a title given to Krishna) and Mirabai (the singer and poet who loved Krishna) – and had established themselves in the ashram. Developing under Coltrane’s spiritual and musical guidance, Henderson became the in-house pianist, as well as lending gospel vocals to sessions, of which ‘Om Rama’ appears on the Ecstatic Music compilation. It’s these improvisations and their subsequent compositions which form the basis of Ocean Of Love, a selection of tracks from Henderson’s 1993 album of the same name, on which he played all instruments and vocal parts. Exultant, trance-like and deeply soulful, Panduranga Henderson’s Ocean of Love is a tour de force of enlightenment-inducing electronics and a fascinating new addendum to the story of Alice Coltrane Turiyasangitananda’s ashram. Released on 24th November, you can pre-order your copy here.